The first international cricket match was played between US and Canada. In the year 1844, at the grounds of St. George's Cricket Club in New York. The first ever overseas tournament came to existence when in 1859 a team of professionals had set off to North America from England. Australia then showed interest in the game followed by South Africa. However, it is believed that the game was started during the Norman period by children who were playing it in the dense woodlands. First noted Cricket championship in 1597 suggests that it was played to set up a land dispute and was called creckett by that time. Whatever be the history behind cricket. The bigger truth is, it is a universal game that everyone admires, be it young or old. The Cricket fever is at its peak when the championship is as huge as the ICC Cricket World cup. International Cricket Council has declared that this ODI - One day International - Championship is to witness 48 matches in total. The first day of the match is at The Oval, while the final is at The Lord’s. England will be hosting it for the fifth time in the history of International cricket. The previous being in the years 1975, 1979, 1983 and 1999. Ten teams will be participating in the event and will keep going up the chart with knock-out semi-final rounds. This is the first world cup in which not all the test teams will be playing. Nor the associate members will be involved in it. Contrary to 14 teams that previously were in competition, this year only 10 teams will come into action. Amongst the newest entries in International cricket- Ireland and Afghanistan only the later could qualify for the world cup. This time, Zimbabwe won’t be able to compete for the prestigious cup as their team could not qualify. Since 1983, there hasn’t been a world cup without them. So which are the teams qualified? On July 09, 2019, Qualifier 1 will compete with Qualifier 4 and on July 11, 2019, Qualifier 2 and 3 will compete in the semi-finals to make their place in the finals. 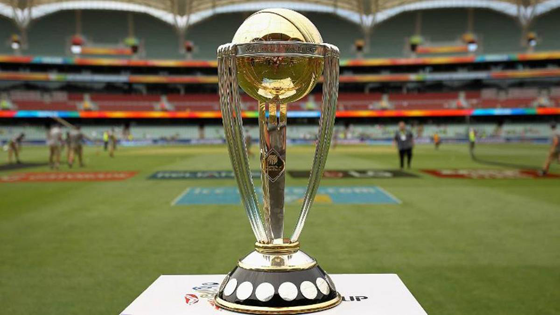 And the decisive day of 14th July 2019 will reveal who the champion is for ICC Cricket world cup championship 2019. The closing ceremony will be at the Lord’s on 14th July 2019. AstroSage wishes the very best to Team India and hopes this information will be useful to you. Stay connected for more updates on cricket to know who is going to be the winner as per astrology.